In 2016, a Micro Computed Tomograph (MicroCT) by General Electrics/Phoenix was installed in a specially built laboratory building. 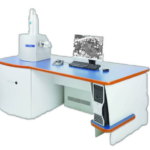 The ΜicroCT provides high-resolution, non-destructive graphical data sets. Through this method, it is possible to observe the structure of fossils that were until now only accessible by destructive techniques. 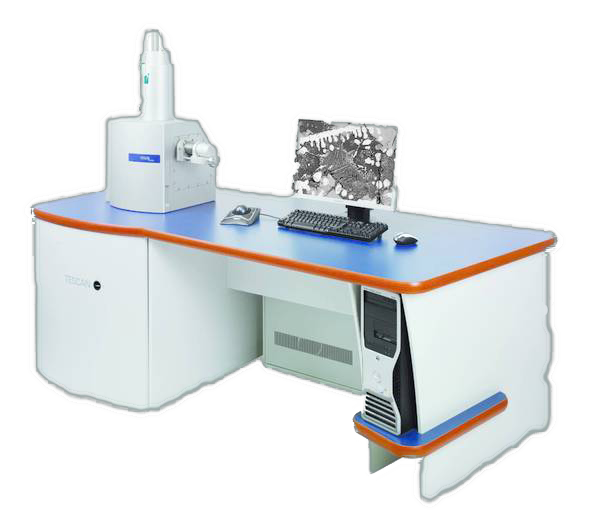 Our ΜicroCT is also used in other fields of research, such as materials science, dentistry, archaeology and geological engineering. The ΜicroCT and laboratory were financed by the university and the DFG (German Research Foundaton). The Department of Palaeontology currently houses a VEGA\\xmu (TESCAN) scanning electron microscope (SEM). This is a versatile system intended for both low and high vacuum operations providing users with outstanding optical properties, flicker-free digital images with super clarity, sophisticated software and image capturing high-performance electronics for faster image acquisition. This system is coupled with multiple detectors, allowing for the user to conduct various analyses on one system. These include cathodoluminescence (CL), Detection of backscattered electrons (BSE) and Energy-dispersive X-ray spectroscopy (EDX). The Merchantek MicroMill comprises a computer-controlled micro-drilling system coupled with a Leica microscope. The device was developed for high-resolution sampling in stable isotope studies. With the MicroMill it is possible to collect sample powders on a fine scale. This can be done on polished rocks and thin sections in sampling transects, for example, to investigate fine cement generations in carbonates. It is currently used to study seasonal banding in deep-sea corals and bivalves to develop palaeoceanographic archives.